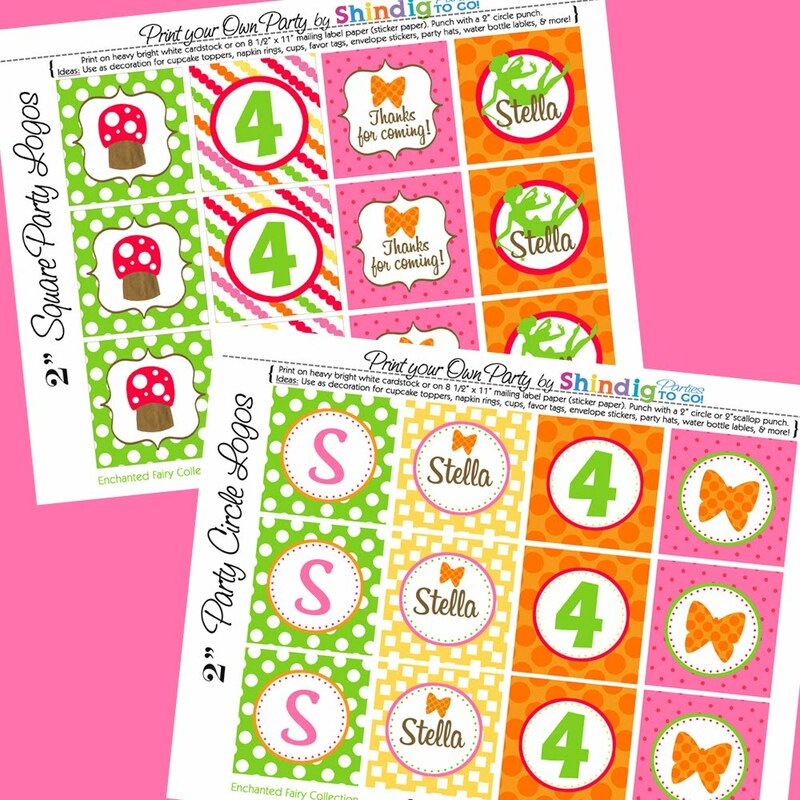 Amanda's Parties To Go: Fairy Party Collection -- PRINTABLE PARTIES! 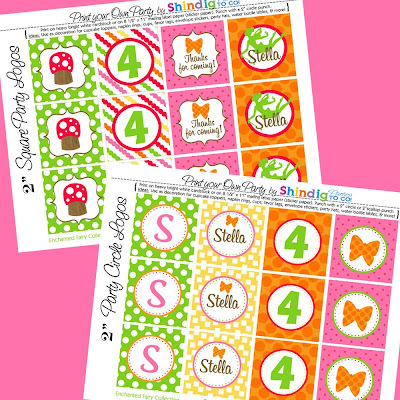 Fairy Party Collection -- PRINTABLE PARTIES! 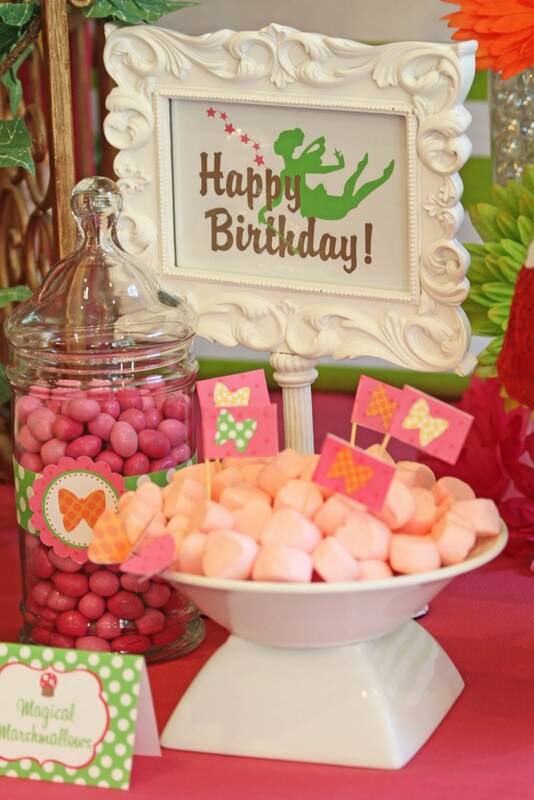 Party Printables are all the rage right now in the party business. It's really a great concept. In just a day or so you can select your perfect party designs, have them personalized just for you and then sent to your email box for you to print out. 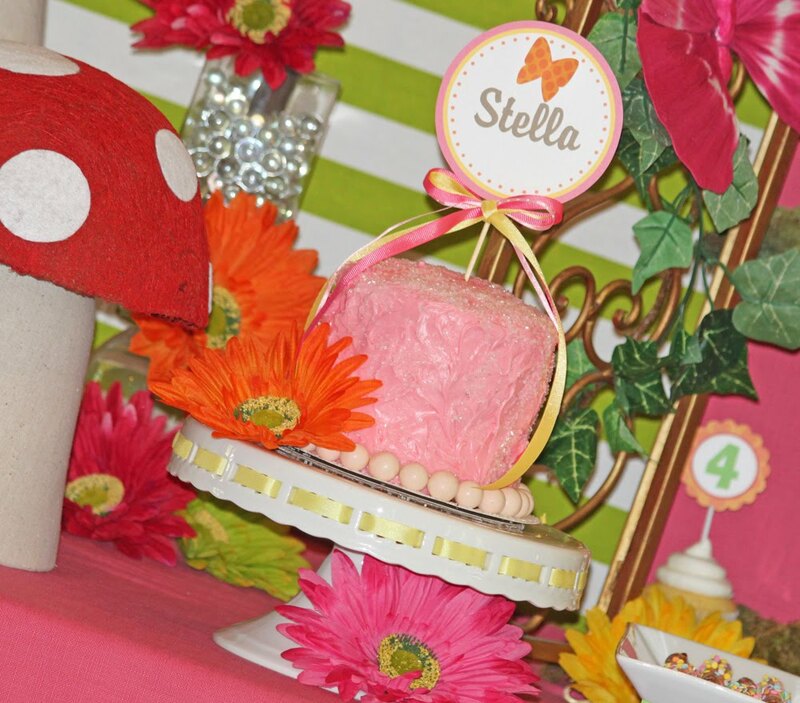 If you can open an email, press print and cut..... YOU CAN HOST A GREAT PARTY! 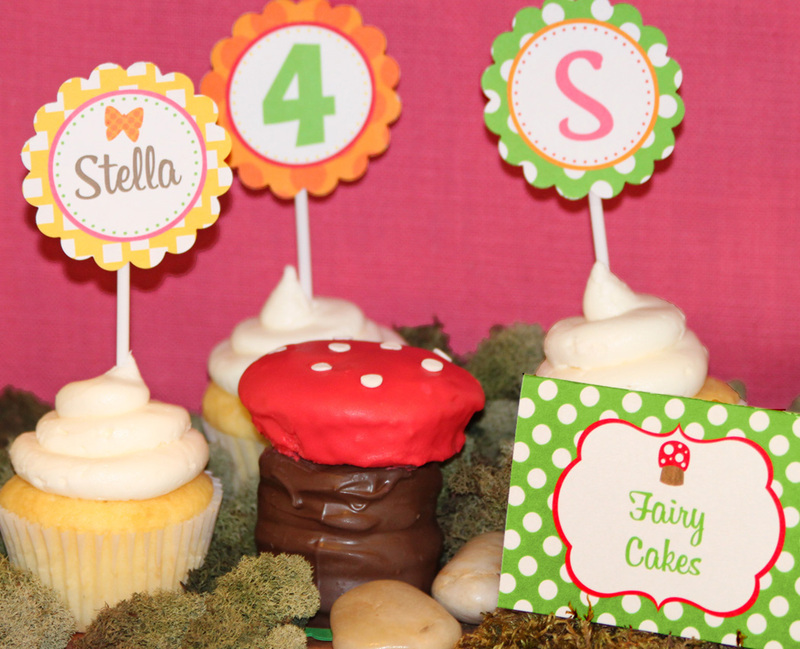 Over the past weeks I've been designing a Fairy Party line of printables to compliment my Shindig Fairy Birthday Party. I love the colors.... they just make me happy! 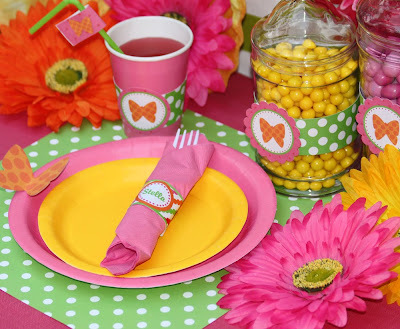 What's better than some pink and green with a little punchy orange and yellow thrown into the mix! HAPPINESS!! 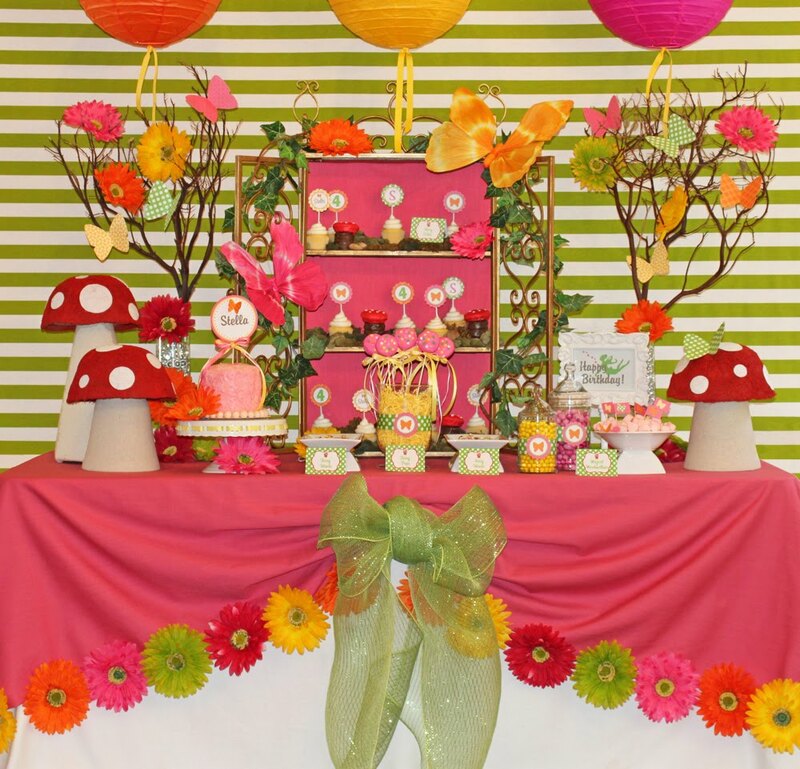 The collection FULL of everything you need to throw a FABULOUS personalized Fairy Party including a birthday banner, table and door signs, water bottle wraps, napkin wraps, toothpick flags, an adorable invitation and thank you note, and of course, all the 2" party logos that you can use just about everywhere! 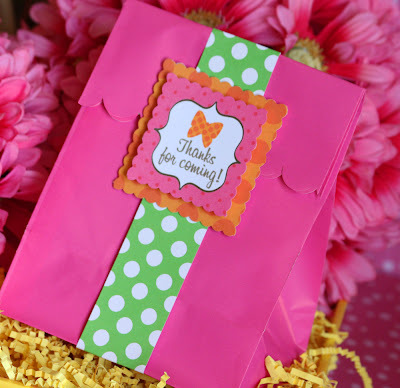 Use them for favor bags, candy jar labels, cupcake toppers and more. It's so easy. Just Print, Cut and Party!! Here are photos from the photo shoot I've been working on for the new line. I hope you enjoy! Amanda's Parties TO GO Fairy printables. The strawberry cake using a 4" Party Circle from the Amanda's Parties TO GO Fairy Collection. 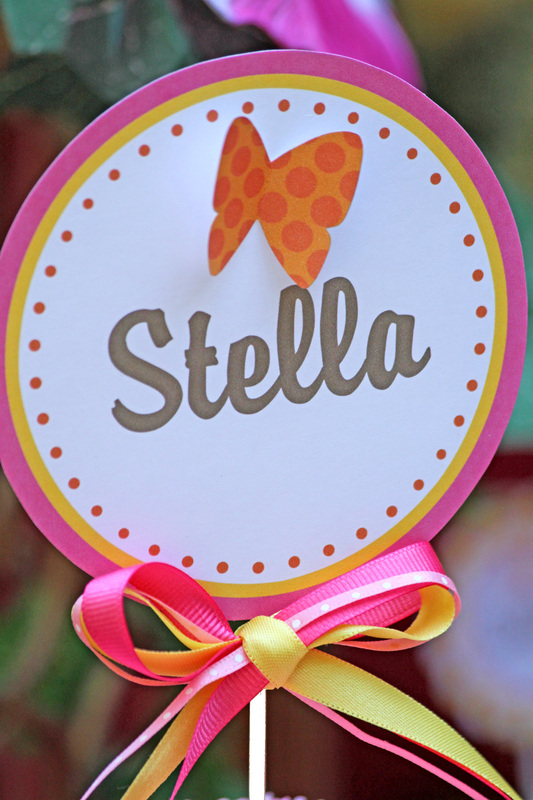 Just cut it out, glue it to a wooden skewer (found at any grocery store), and add a little ribbon -- a beautiful, personalized birthday cake topper. 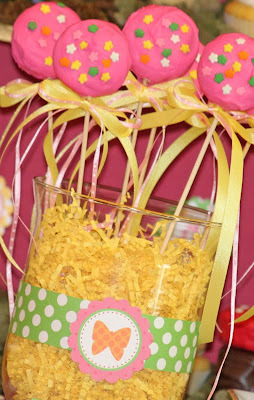 punch them with a 2" circle punch, a scallop punch or just cut them out as squares! 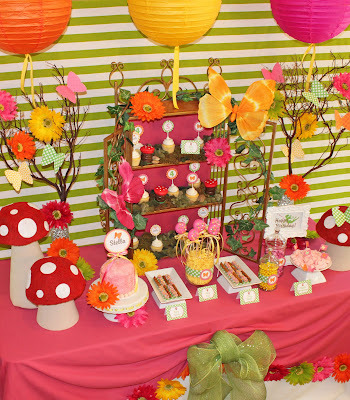 Another view of the Fairy Party Table.... the hanging paper lanterns are easy and adorable!! Add a little ribbon to the bottom to dress them up a bit. One of my favorites! 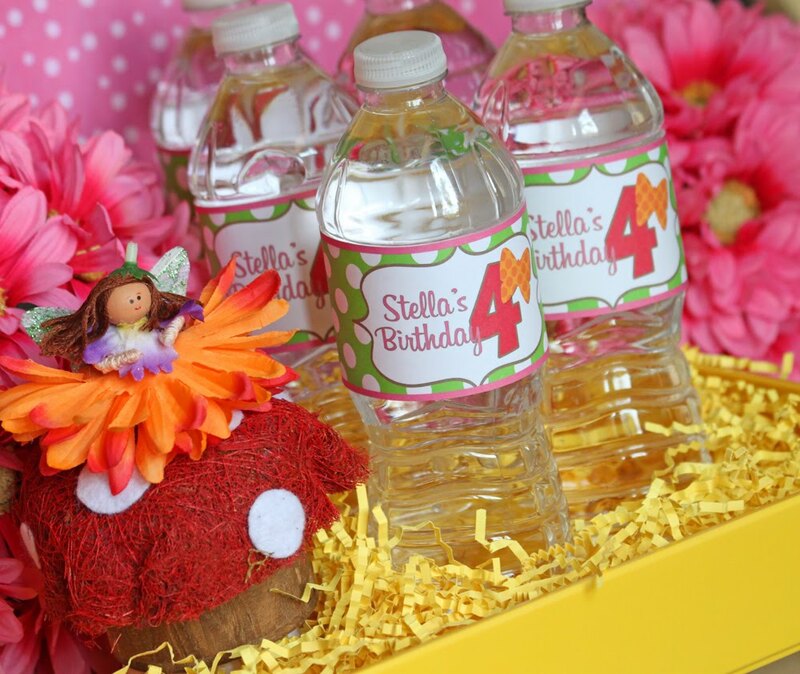 Personalized water bottle labels! How easy is that? (with label removed), and secure with Scotch tape on the back. The toadstool invitation, it swings up to reveal the invitation wording underneath. Very simple to make and all instructions are included. And personalized thank you notes.... you can't forget to thank your guests!! I love this, especially the invites!! Super cute! Stopping by from CSI project. very cute! 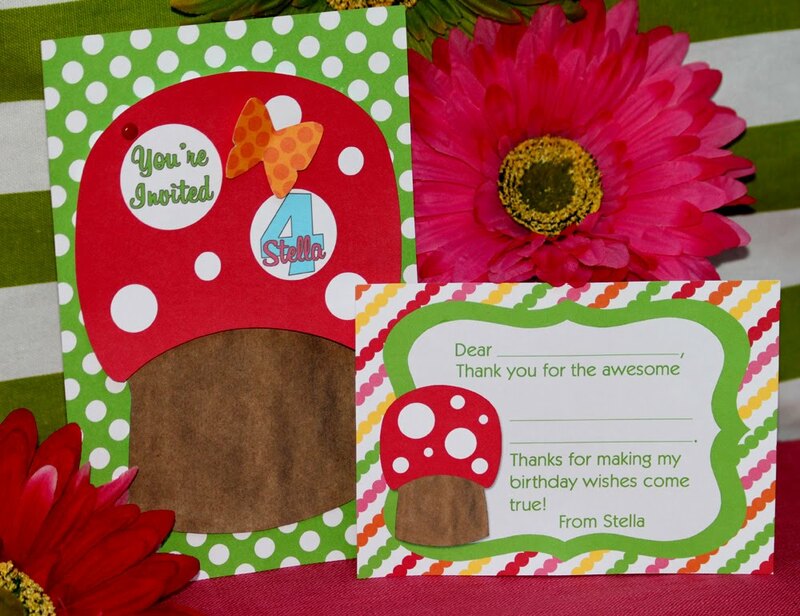 i love the invitations and thank you cards. I love your dessert table Amanda! Great job! Nice way to exhibit the goodies on the little hutch. Love it!! Love this Amanda! It is super cute!